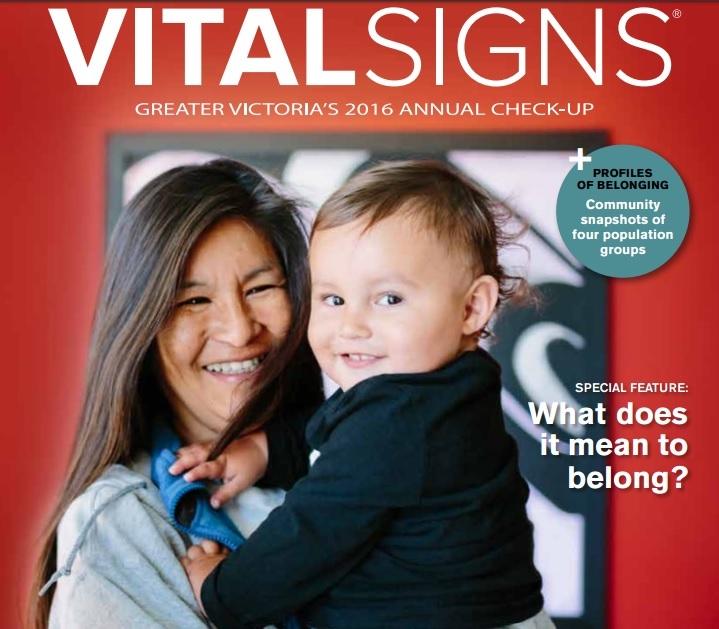 The theme for the Victoria Foundation’s 2016 Vital Signs report (launched today!) is Belonging. As social animals, humans evolved to grow up and live in community. 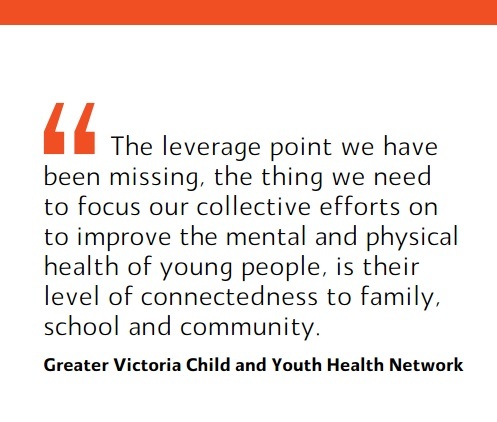 All the evidence points to increasing connectedness for youth as resulting in improved outcomes in all the important areas of life. “Youth who feel more connected to their community have lower rates of stress, feel less despair and are less likely to have self-harmed or attempted suicide,” says Petra ChambersSinclair, coordinator of the Child and Youth Health Network (CYHN) of the Capital Region. Young people need mentorship from adults, she asserts, because the health and resilience of the entire community depends on successful transition to adulthood by its young people. Chambers-Sinclair states, however, that nowadays mentors are scarce for many children and youth—and in many communities, the mentors they do have are overworked and burning out. The CYHN has a mission of increasing connectedness to improve the wellbeing of young people in the Capital Region. In 2016, the CYHN began developing an Index of Connectedness as part of its shared measurement system. The index comprises a comprehensive review of indicators for measuring connectedness in young people, with the aim of creating a single composite index that will then identify gaps to be addressed as well as recommendations for using the results.